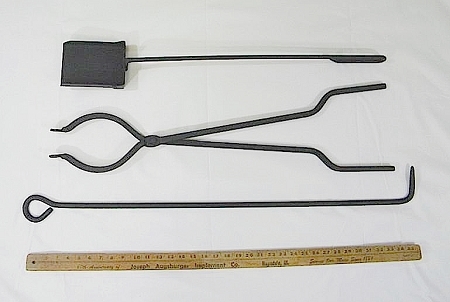 If you didn't buy the Fire Pit Tools with your Fire Pit, then here is a good place to get it, in the accessories section. ALL OTHER PRICES FOR ALL ADDITIONAL ACCESSORIES WILL APPEAR WHEN YOU CLICK ON YOUR CHOICE OF ACCESSORIES AND WILL ADD IT TO YOUR BASIC STARTER SET ABOVE. 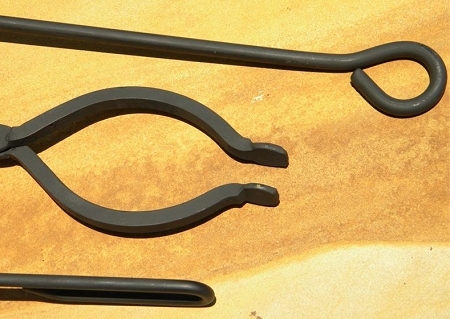 Artisan Spark Guard only fits the following Fire Pit Art styles: Fleur de Lis and Kokopelli, Fire Pit Art®. 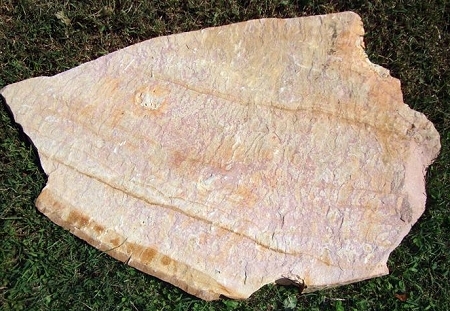 Tennessee Crab Orchard variegated limestone flagstone. Irregular shapes with brown and tan hues. A fireproof, fire pit pad created by a team of engineers and scientists to protect any wood or combustible surface from extreme heat. This state-of-the-art layered thermal fireproof design will protect your deck or patio from radiant heat produced by your fire pit or chiminea, allowing you to relax with friends in front of a warm fire achieving a worry free environment. Deck Protect is manufactured with only the finest materials for longevity and put together by hand. All Deck Protect products include a 1-year warranty. If you are not completely satisfied with your Deck Protect product, return it within 7 days and we’ll give you your money back. Return shipping to be paid by purchaser. 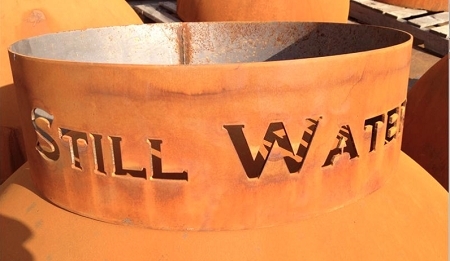 Personalized Fire Pit Base - is attached to and ships with Fire Pit. 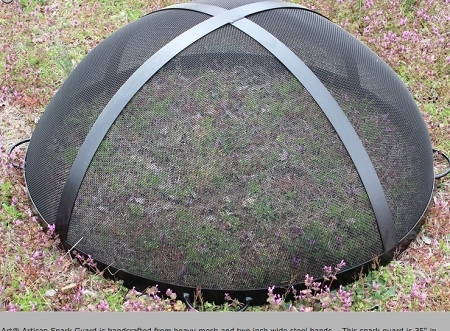 Love the outdoors, but can't fathom the idea of leaving the creature comforts behind? Why not camp in style? Designed with the glamper (or glamorous camper) in mind. 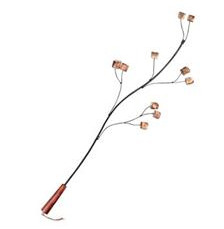 This artistic Marshmallow Roasting Art is crafted of steel and baked with porcelain enamel, is meant to be used over an open flame. 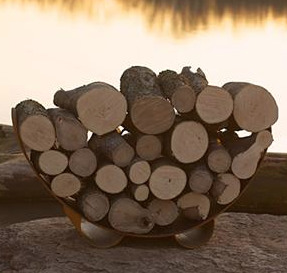 This Fire Pit Art Crescent Firewood Rack can hold an evenings worth of fire wood with the wing span of 39" and 21" in height. The iron oxide finish will darken over time and is maintenance free.The Crescent Firewood Rack is not just a practical wood rack; it is a piece of art in its own right. It has a standard iron oxide patina or optional high temperature paint finish on the outside. The iron oxide patina will darken a little with time. Overall width wing to wing is 39", overall height 21". 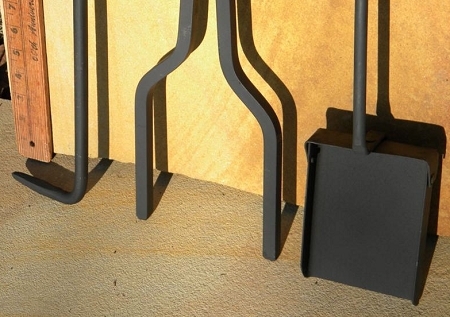 This Fire Pit Art original design can act as a stand-alone sculpture or a heavy duty log rack. Made of 1/4" carbon steel and weighs 65 lbs. Measurements may vary slightly since each fire pit is hand made. Created in Tennessee by Tennessee Craftsmen using 100 % American Steel - Rick Wittrig.